fishing is steady. we are waiting for the flows to bump up from 820 cfs so the fish and boats spread out. regardless weather reports for the weekend are calling for 60s and sunshine. we will be out will you? bwo are starting to show. we have open dates for both driftboat and jetsled trips for april. GIVE US A CALL! got out for a few hours today. fishing was steady. caught quite a few big rainbows that tugged. eggs, wine worms, midges, and pinesquirrel leeches were the big producers for me today. life is good. we still have open dates for the spring. April 17th thru the 25th is open for both jet boat and driftboat trips. Let us know! 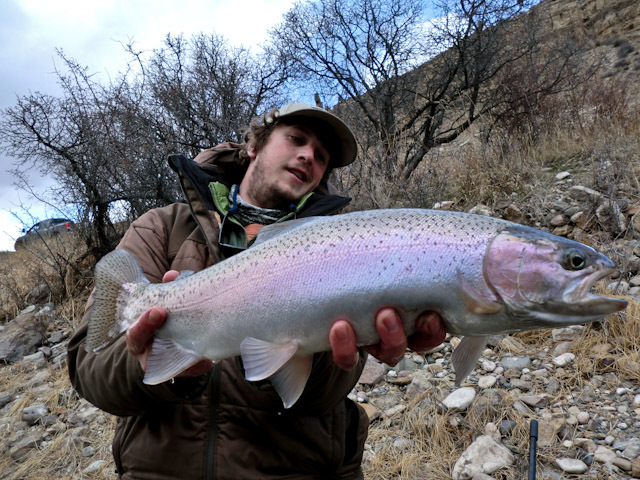 fishing reports from the weekend were varied. from our guides we keep hearing midges, worms, and eggs are producing. baetis are showing up slowly and they were producing. 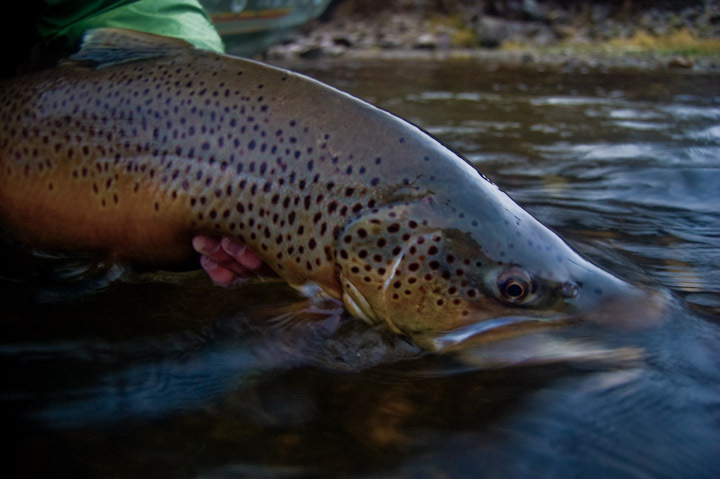 the key to this river is changing your pattern often until you find what works. it can vary day to day fly to fly. stay smart. they are just trout! give us a call about our $350 spring special for driftboat trips on the wedding of the waters. 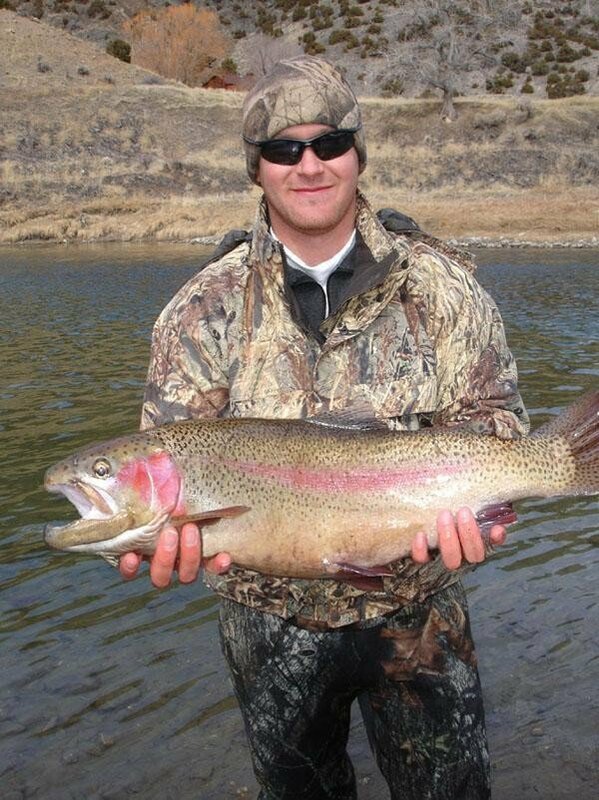 huge wild bow from the state park. 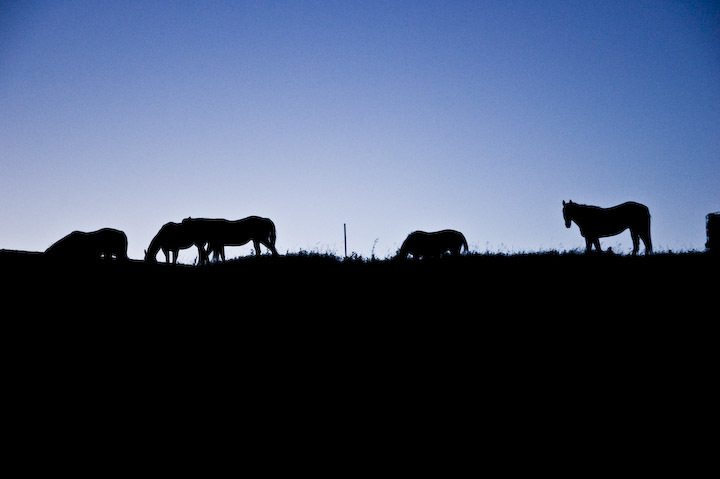 picture courtesy of wyoming state parks. please be careful of the spawning fish in the state park. please watch where you wade and fish. got to get out with long time friend and fellow guide Bnice for a much needed day of relaxing and fishing. well worth the drive. we put up some big numbers minus the WIND…. 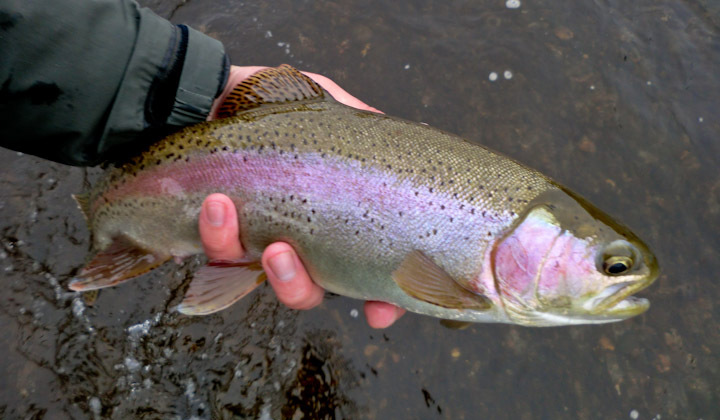 lots of big rainbows staging in the deep water…. best part of the day…. watching bryce go 4 for 4 in one slot. a day to remember for both of us. If you are interested in our spring driftboat specials please inquire. 307. 438. 0740 for the month of March and April we will offer $350 driftboat trips. a screaming deal for a trip on the wedding of the waters. THIS JUST IN FROM OUR WEDDING OF THE WATERS SPECIALIST! State Park water temps 44 degrees. 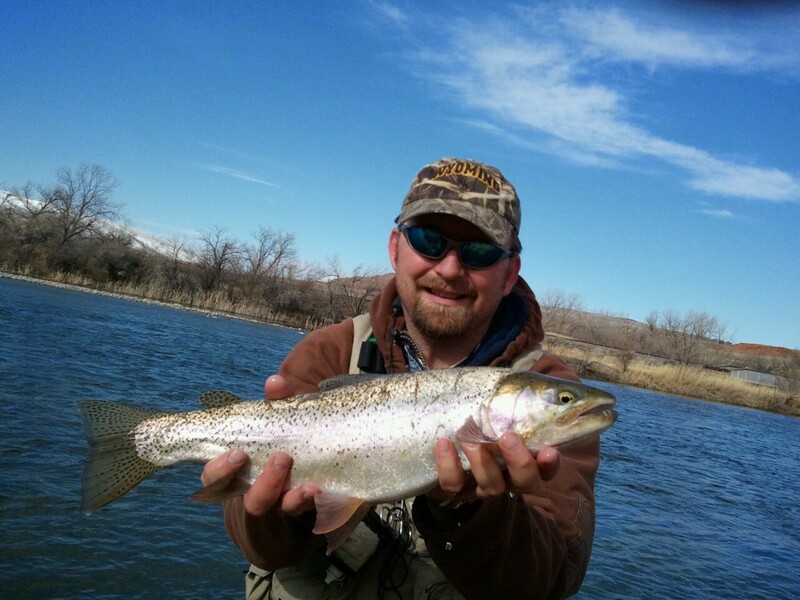 Lots of fisherman on the spawners which are just starting. cool weather slowed them down a little. First thing i step out of the truck, look over the bank and watch two idiots wade back and forth through one of the best REDDS in the area. I had to get back in my truck and leave. 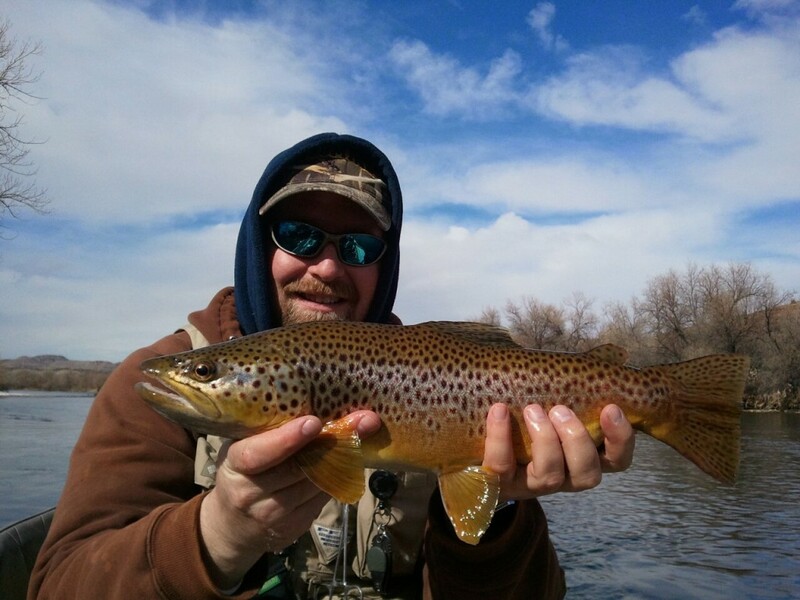 Went above the tresse…l and I had good success with some browns in the deep holes dead drifting streamers. Water temp below the Wedding about 39 degrees. Fish were hungry and have moved a little shallower. Most we found were 4-5 foot deep. Starting to look at eggs, worms and scuds working but the best all day long was black midge pupae. 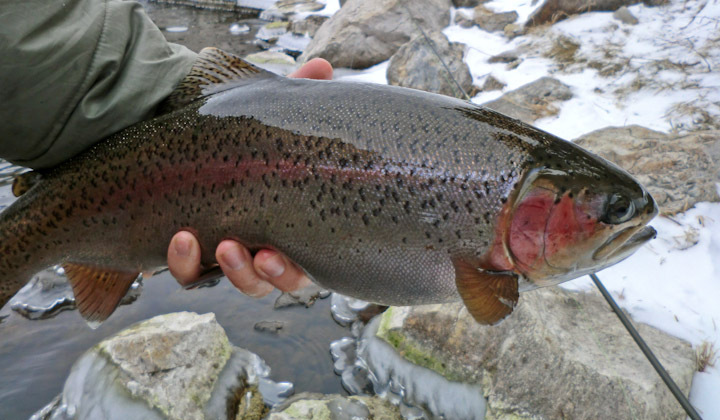 Several nice cutts and browns along with the rainbow. 7 boats on the river. Amazingly, 4 of them were not catching fish. 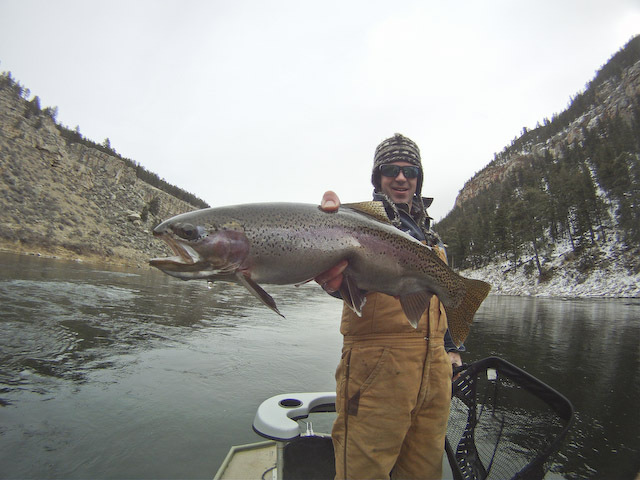 Fish were stacked allowing us to get multiple hookups on most every run. We had several doubles and that’s with me rowing the boat!! 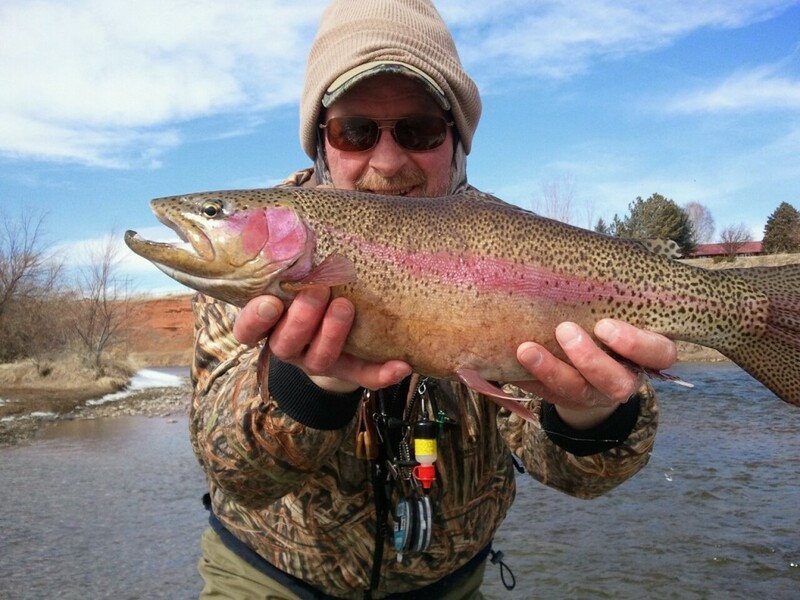 steve beaz got out yesterday with his son and reported outstanding fishing all day. two other boats on the water and he was hooked up all day. another beautiful day in paradise. looks promising. 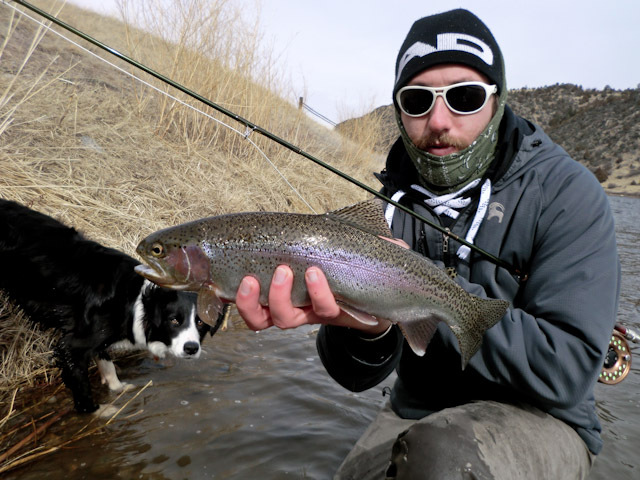 warmer weather will allow us to be on the river instead of being inside tying flies. wedding of the waters if you have a boat, below boysen if you don’t. 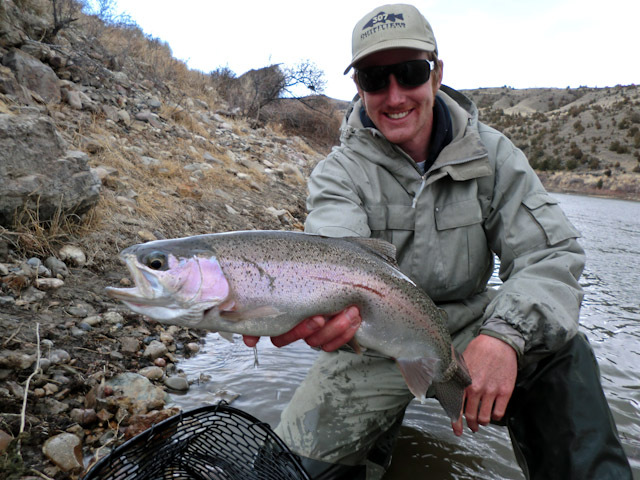 give us a call to book your lander fishing adventure! 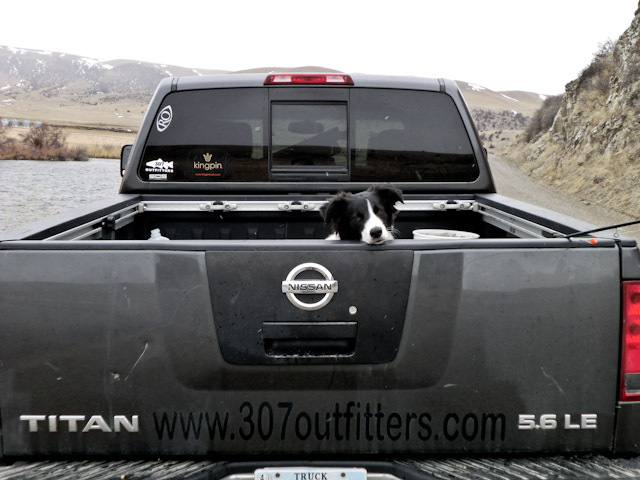 You are currently browsing the 307 Outfitters blog archives for March, 2011.